Bright white marble is edged with a thin band of satin-finished brass. Brass and marble are always a pleasing paring. This 4 set of on-trend coasters adds a touch of glamour to any surface. You’ll be amazed how a little glam ups the game. African inspired prints and textures are an exciting part of home decor right now. 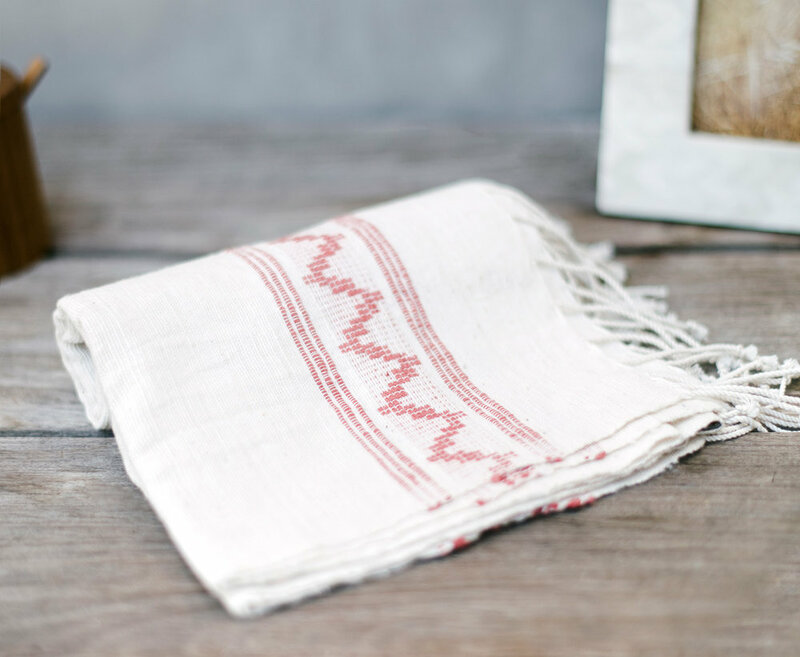 Our hand towel is hand-woven in Ethiopia using time-honored weaving traditions and AZO- free dyes. Hand-spun Ethiopian cotton adds a uniquely rich texture that will become more absorbent with each wash. It makes drying dishes a little more fun. Machine wash and dry. Color - cream with rust. Measures 21"x 27". Using bohemian baskets as a plant holder is one of the latest trends in home decor. Bringing the outdoors in is also one of the quickest ways to warm up any space. This round basket is woven from natural seagrass, with fashion-inspired patterns that work in nearly any room or setting. It also folds down for use as an open bin. Give it a try. 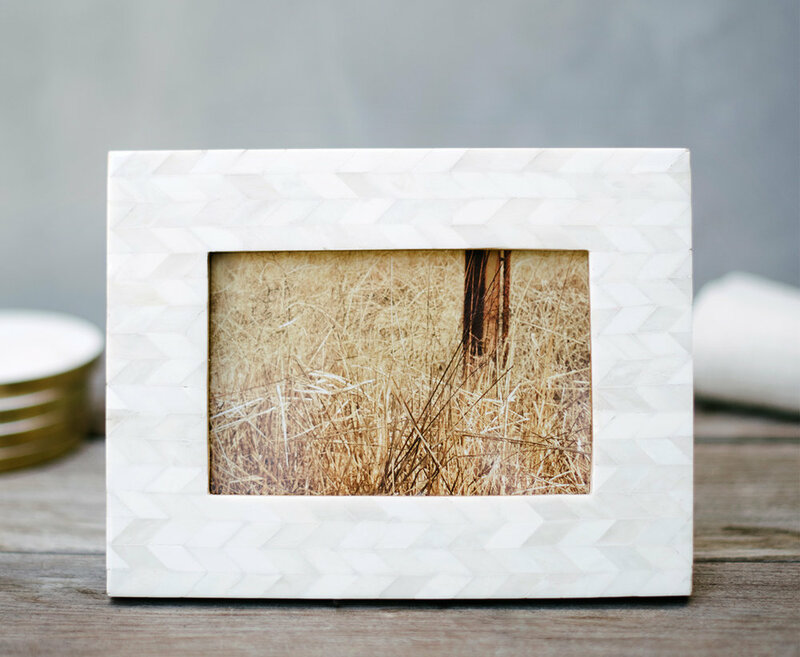 This frame is made of beautiful, ethically sourced bone in a mosaic chevron pattern. The neutral toned textural pattern compliments any subject. We love the personal story told by the presence of frames around the home. A stylish and trendy way to display salt in the kitchen, dining area or breakfast nook. A cellar also keeps salt safe from pesky insects, whether you're dining inside or out. Love notes and mentions for Fall 2018. “So excited for my first box. Love how it is packaged and love everything in it!!! Just gorgeous. -Well Done.” Emilie J.